Costa Rica’s indigenous history is not as prominent as it is in other Latin American cultures or even others just in Central America. 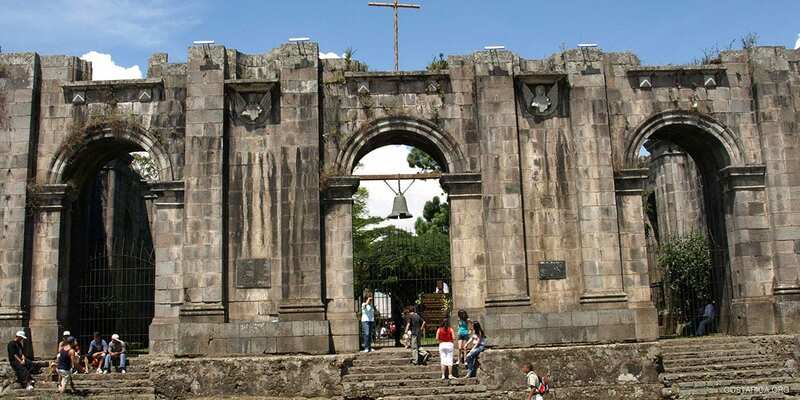 Today, Costa Rica is strongly shaped by its Spanish influences as well as Catholicism. But some influences still remain and some tribes are still populating Costa Rica to this day. Costa Rica has been inhabited as far back as 5000 years BC by indigenous people. There were many migrations and influences from the Aztecs of Mexico to the Mayas and the Incas of Peru. The native population was small compared to the vast Pre-Columbian civilizations found throughout Latin America. In fact, some historians argue that the present culture of this country was primarily founded upon these more dominant indigenous cultures. You see evidence of the indigenous influences in arts and crafts available throughout Costa Rica in the form of handcrafted ceramics, ornaments, and jewelry. The most extraordinary and quixotic artifacts left by Costa Rica’s ancestors are the astonishing stone spheres found near Palmar Norte and Palmar Sur in Corcovado. The most prominent indigenous tribes are the Bribris, the Borucas, the Cabecares, the Huetares, the Malekus and the Chorotegas. As with most native tribes, their numbers are dwindling as their traditions and lands are usurped by modern societies. The few remaining members of these tribes are trying to hold on to their customs and old way of life, although this is getting harder to maintain, and live in small villages in remote regions of the country. But luckily, rights for the indigenous people have been put on the agenda and tourists can support them by visiting their villages and tribes. As the story goes, Christopher Columbus landed on a small island located by Limon in 1502, and “discovered” Costa Rica. Well, that may please Spanish historians, but it is not actually what happened in this episode of Costa Rica history. In 1502, Christopher Columbus arrived at Limon being lost. Costa Rica already existed. It was here all along and Costa Rica discovered Europeans in 1502! Limon was quickly abandoned in favor of the Central Valley, however, partially due to the heat and humidity. The indigenous cultures fled to the Talamanca mountain ranges where they remain to this day. In 1522, the colonists named the land Costa Rica, meaning Rich Coast, in the hope that they were going to find gold in its hills. Which they didn’t. When it became apparent that the rich coast was poorer than its neighbors, the colonists switched their focus to agricultural development. As the landowners were quite poor and isolated from the Spanish Colonial centers of Mexico, Guatemala, and the Andes, and because there were very few indigenous labor forces to help, the first Costa Rican settlers soon turned into an autonomous and individual agrarian society. By the beginning of the 19th century, the cultivation of bananas brought in a lot of wealth and coffee soon followed. While settlers were clearing land for coffee plantations in the late 1800’s, they happened upon an archeological site that remains one of Costa Rica‘s most famous ones today. The Guayabo National Monument is shrouded in mystery to this day but does reveal the existence of an ancient society of some sophistication. At its peak, around 10.000 people used to live in this ancient city. It is believed that the first settlers came to these parts around 1000 BC and had created a bustling city by 800 AD. Why they disappeared is still unknown. Achieving Independence was one of the most important events in Costa Rica history. Unlike many of its neighbors, however, the Ticos managed to do it without bloodshed or revolution. While this fact is certainly a blessing, it does not mean that it was a simple process. In fact, they had to win their freedom not once but twice! In the first round, they broke free from the rule of Spain. In the second round, they achieved full independence within Central America. Read more about Costa Rica Independence and the long yet fascinating road Costa Ricans took to get there! The President of Costa Rica at the time of William Walker’s arrival, Juan Rafael Mora, brought together a makeshift army of peasants to fight the much more heavily armed enemy. Walker and his army invaded the Guanacaste province at the now Santa Rosa National Park and the Costa Rican army expelled and followed them into Rivas, Nicaragua. It is here that the enemy made their mistake; Walker and his army took protection in a wooden fort. The young Juan Santamaria bravely volunteered to burn down the fort. This act alone turned the young Juan Santamaria into a national hero who is still celebrated annually and even remembered through the name of Alajuela‘s airport: San Juan Santamaria International Airport. These events were followed by an era of peace and prosperity until 1917, when fro two years General Federico Tinoco Granados had power as a military dictator. Later in 1948, Jose Figueres started a civil war in which 2000 people died; the war only lasted 44 days and was the bloodiest event ever to take place in Costa Rica. The victorious junta, however, resulted in a constitution that gave way to free elections with universal suffrage and the total abolition of the army. Figueres became a national hero when Costa Rica disbanded its army in 1949. Since that day, Costa Rica has been investing in education, natural heritage and developing strategies for supporting workers’ rights.